JURIED EXHIBIT - Contributing Artist. "Tide Pools to the Stars"
An Ocean E-exhibit inspired by Art and Science Collaborations on the High Seas. 19th International, Art-Science Juried Exhibit organized by Art & Science Collaborations Inc.
An exhibit of art that inspires a new public perception of our innate ecological connection to our global ocean, New York Hall of Science, New York. 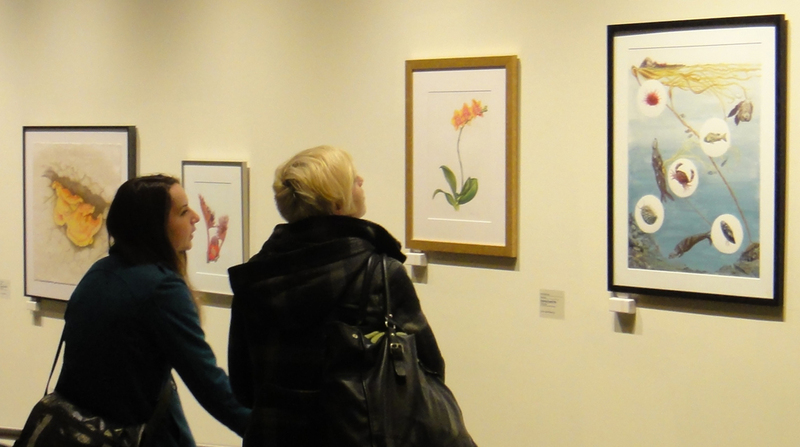 An exquisite exhibit of botanical illustrations by artists from the Pacific Northwest Botanical Artists and the Guild of Natural Science Illustrators Northwest. E. Miller Library, University of Washington, Center for Urban Horticulture. 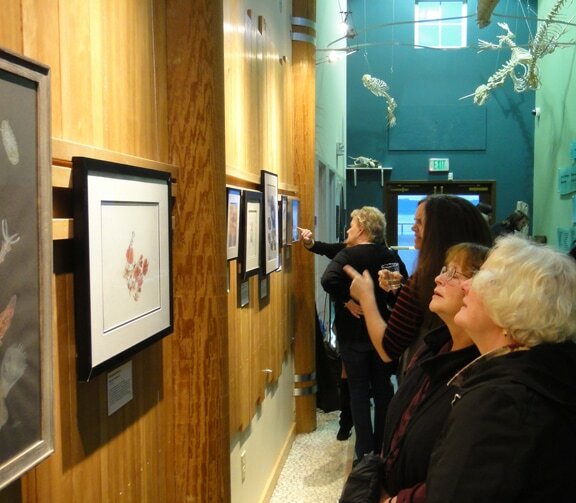 An exhibit of artworks by scientific illustrators from the Guild of Natural Science Illustration Northwest. Exhibition hours: Monday through Friday, 11:00 am to 5:00 pm and Saturday 11:00 am to 4:00 pm. An exhibit of artworks by Pacific Northwest artists exploring the intersection between arts and sciences. Scientific and botanical illustrations, jewelry, metal work, print making, epoxy work, basketry and mixed media. Exhibition hours: Monday through Friday, 9:00 am to 4:00 pm and Sunday 9:00 am to 1:00 pm, and by appointment. 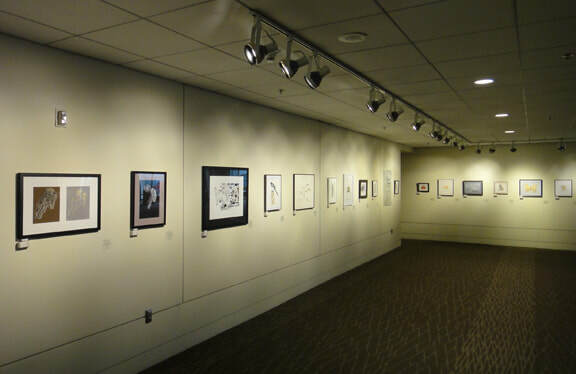 An exhibit of artworks by members of the Guild of Natural Science Illustrators Northwest at the Pacific Science Center, Seattle, Washington. What a perfect venue for artists that combine the rigor of scientific observations with the beauty of visual art. 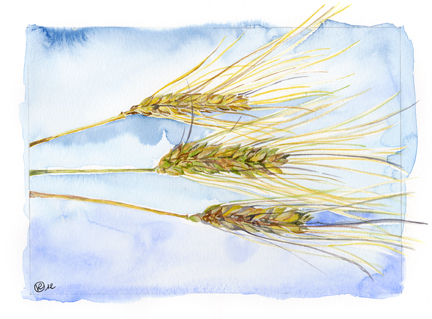 Artwork and cards will be on display at the University of Washington Botanic Gardens Elisabeth C. Miller Library. A portion of the proceeds is donated to support the library. 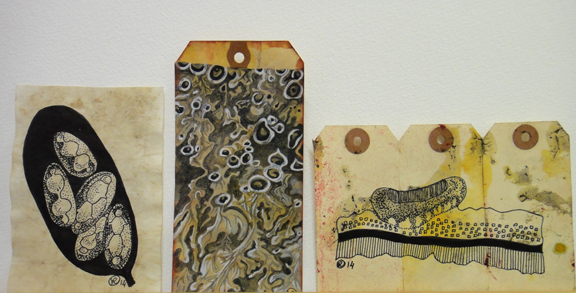 Artists contributed artworks portraying symbiosis in lichens in support of Science Week in the United Kingdom. 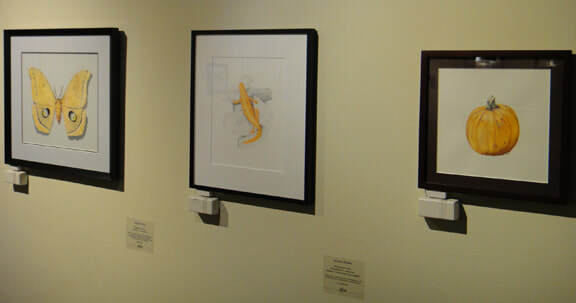 From March 15 through 22, the art exhibit in Reading presented artworks from artists and scientists around the world. Following the exhibit till the end of 2014, the Symbiosis Book toured the UK until it made the University of Reading Herbarium its permanent home. Washington State Convention Center, Seattle, WA.